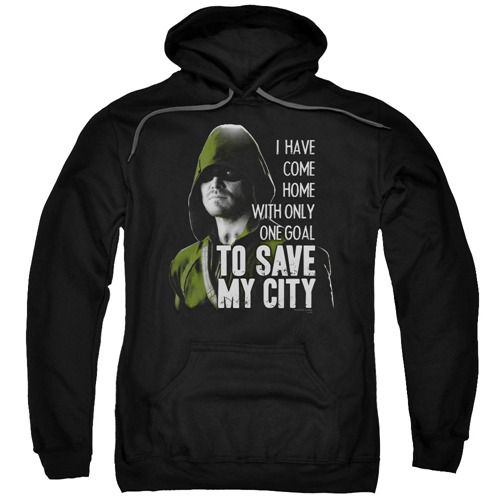 Commit yourself to looking good, with this Arrow TV Series Save My City Hoodie! The hoodie features an image of Stephen Amell's character the Green Arrow and has the text, "I have come home with only one goal to save my city." The high-quality pre shrunk black hoodie is made of 100% cotton. Machine washable.